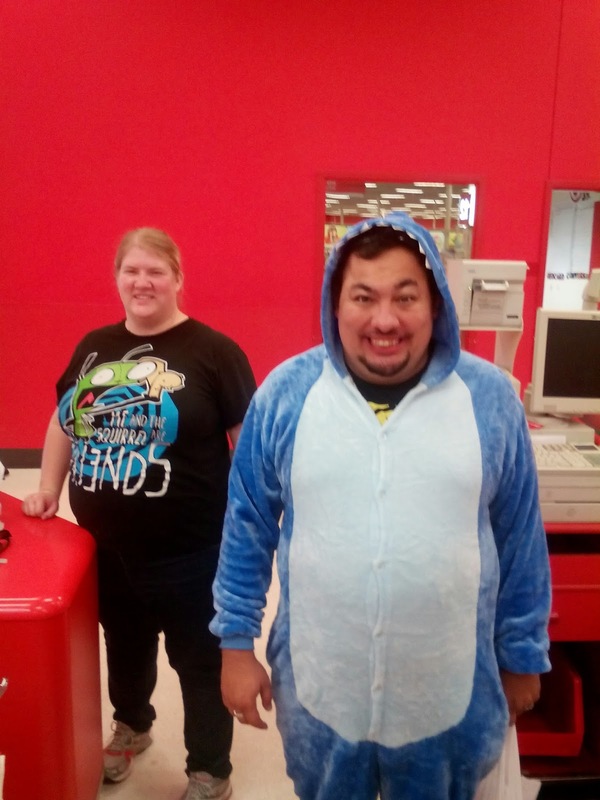 Us at the Target in Cali. 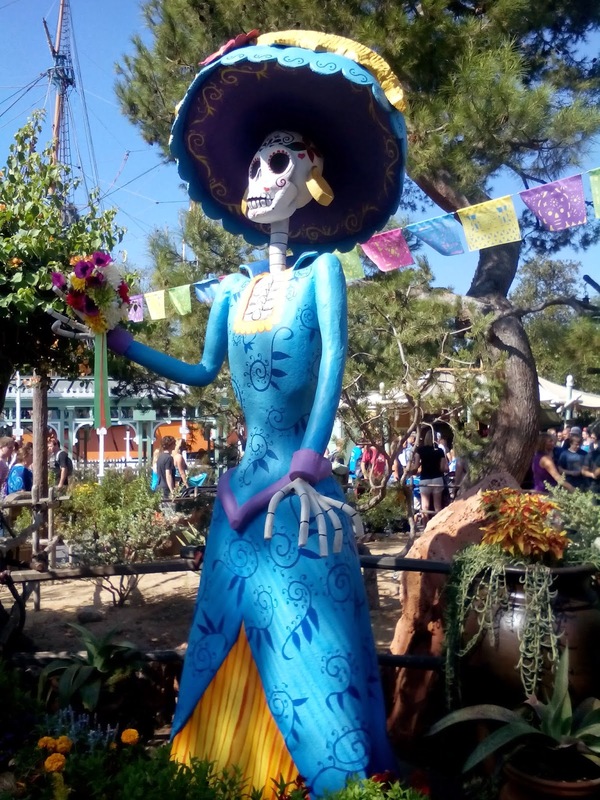 I'm on record for being both a huge Disney fan and a huge Halloween fan, so it's only natural that my dream vacation would be to visit Disneyland at Halloween. So that's what we did: My wife and I picked up a couple of dear friends and headed to sunny California! Now Disneyland has a special event from late September to the end of October, where they'll open the park to special ticket holders only and throw a massive Halloween party for all involved. 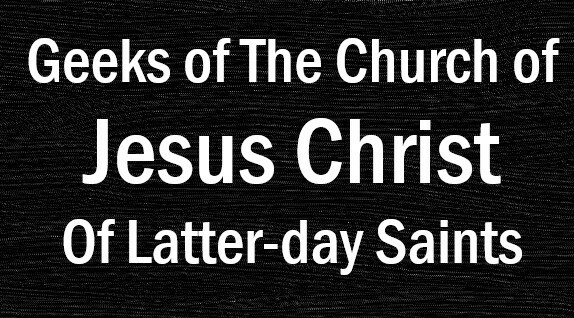 This is what my wife and I attended. 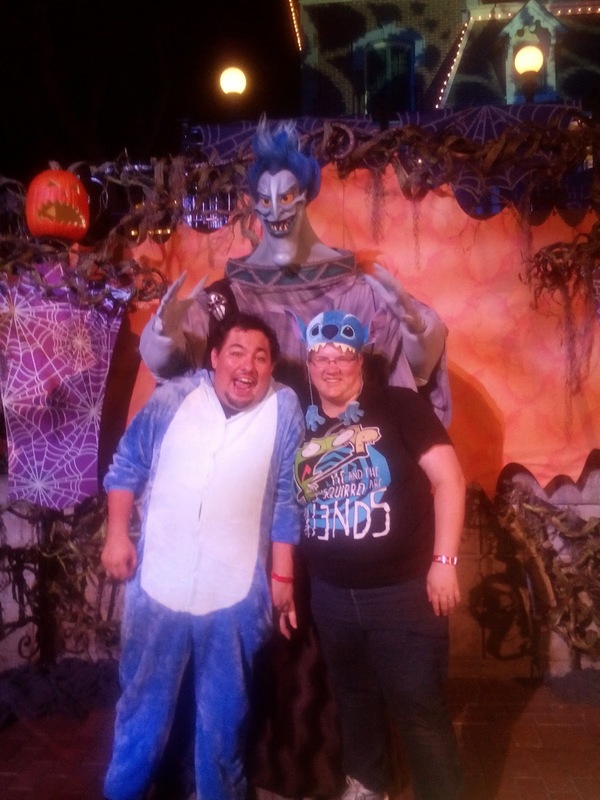 Before the party even started I had to change into my awesome Halloween costume, a giant man-sized Stitch onesie. Adults get to dress up for the party and I wasn't about to miss out on anything. 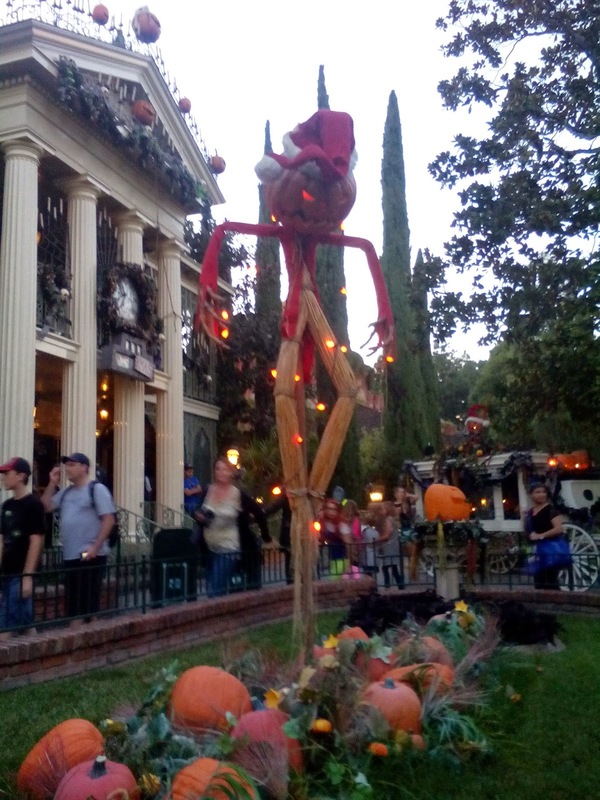 Our first stop was the Haunted Mansion, which for Halloween is changed into a Nightmare Before Christmas motif. 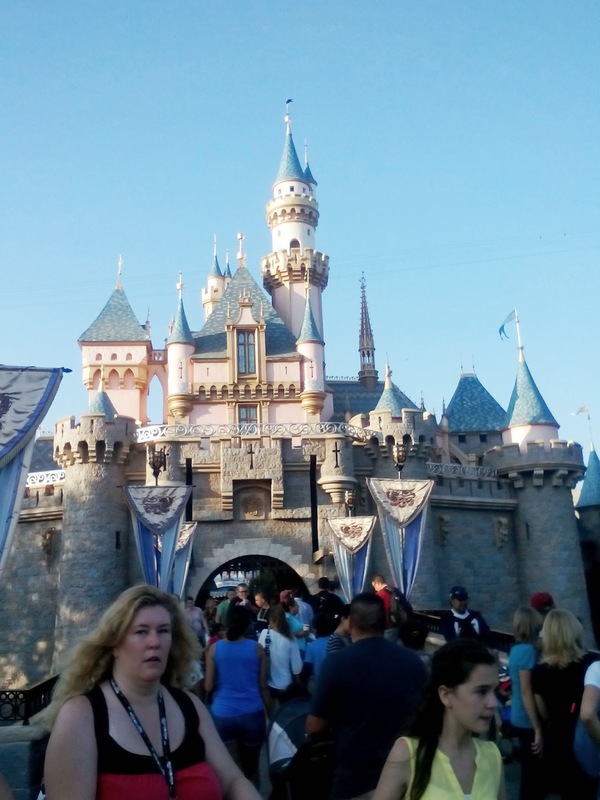 While I would love to share some sort of video of the experience, I do try to respect the Disneyland rules so all I can do is describe it. 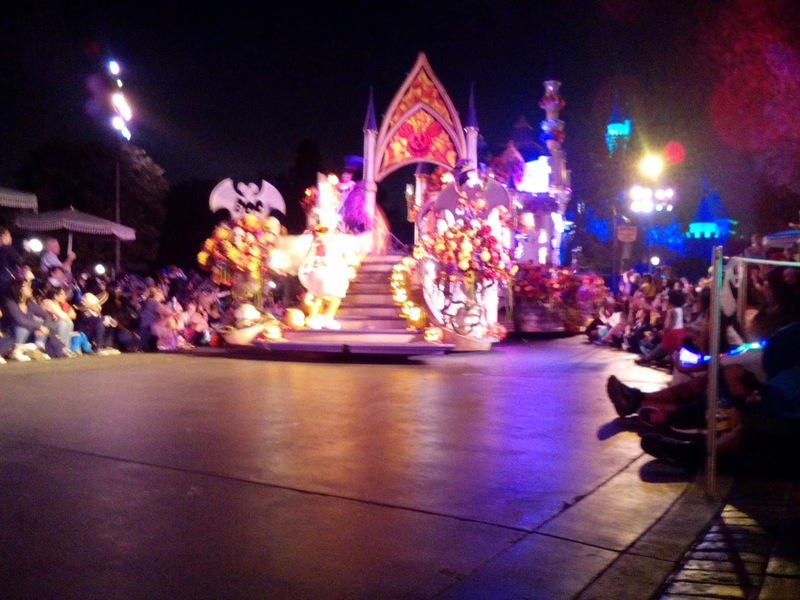 Every single character and look from the show is mimicked on the ride, My head couldn't swivel around fast enough to see everything, especially when we entered the graveyard scene. A massive room full of ghosts and monsters from Nightmare, with everything singing and dancing had me squealing with delight. My wife and I aren't the biggest for rides, so that and Pirates were the only rides we did that night, but that wasn't the end to our entertainment. On the river in the French Quarter/Frontier land an A Capella group called The Dead Daves started singing Halloween songs while floating on a barge down the river. Stuff like this is the reason my wife and I love Disneyland, because unlike some other amusement parks I'm not going to mention Disneyland works on their atmosphere so that even when you're not on a ride you're having a good time. We enjoyed the band while we waited in several trick-or-treat lines that were handing out candy to kids of all ages. 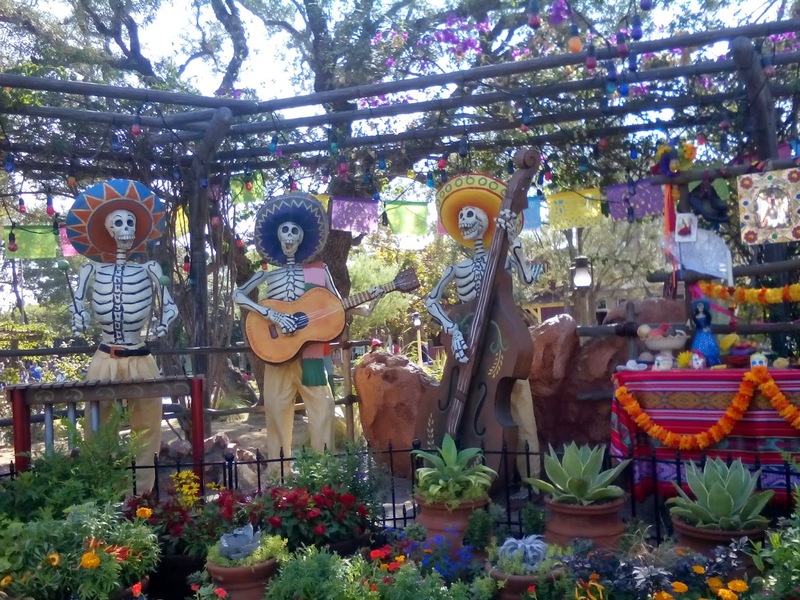 The park is decorated for the holiday! 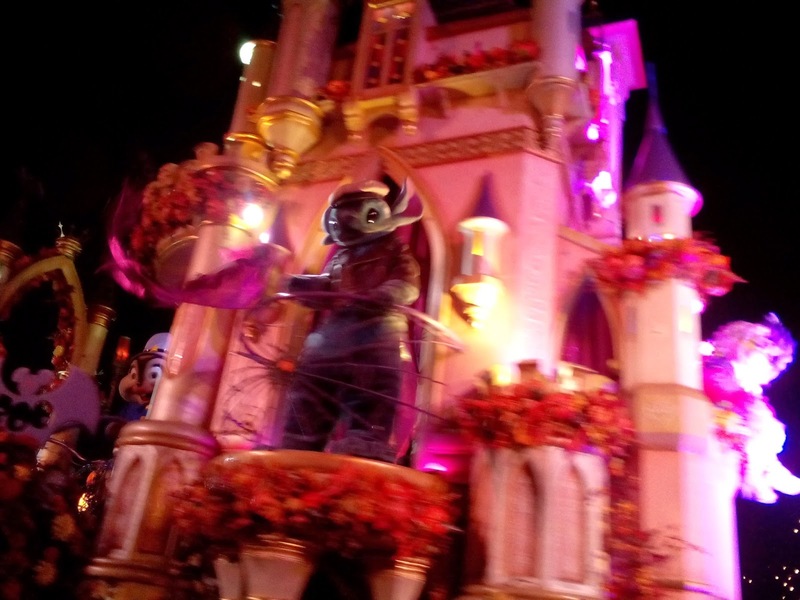 Our next stop was the night time Halloween parade, which had all our favorite characters in their Halloween costumes, including Mickey Mouse and Stitch. My only complaint is that it's a stark contrast to their usual Mickey's Soundsation parade which is a celebration of Disney music, this parade had one song played on loop to the point of madness. It was still cute but I had that song stuck in my head for the rest of the night. Next Jack Skellington and the villains took over the fireworks show, as they lit up the sky with Halloween colors and effects. I love it when the show incorporates giant flames, since it's nice to work on my tan at night. The fireworks show definitely made up for the lack of music in the parade. We spent the rest of the evening in line at what is probably one of my favorite things about Disneyland in general: Character meet-and-greets. 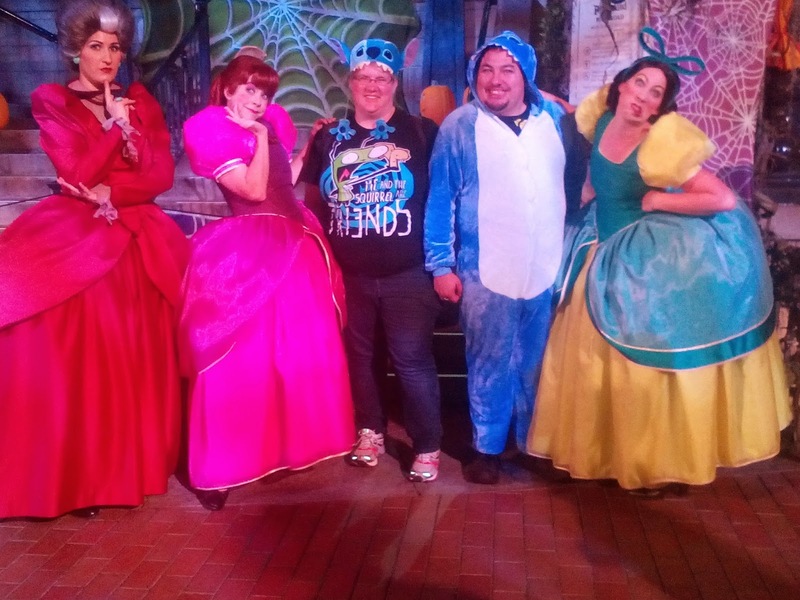 And yes, I know I didn't actually meet Lady Tremaine or Hades, but frankly I don't care. 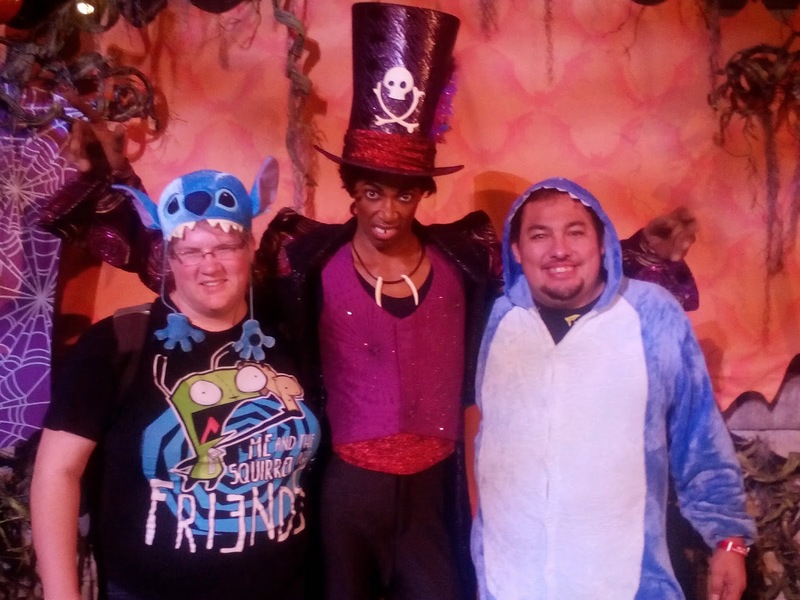 It's still exciting for me to meet my favorite characters. I go back to feeling like a little kid. Cast Member: "Oh no! You don't get any candy!" Cast Member: "No! 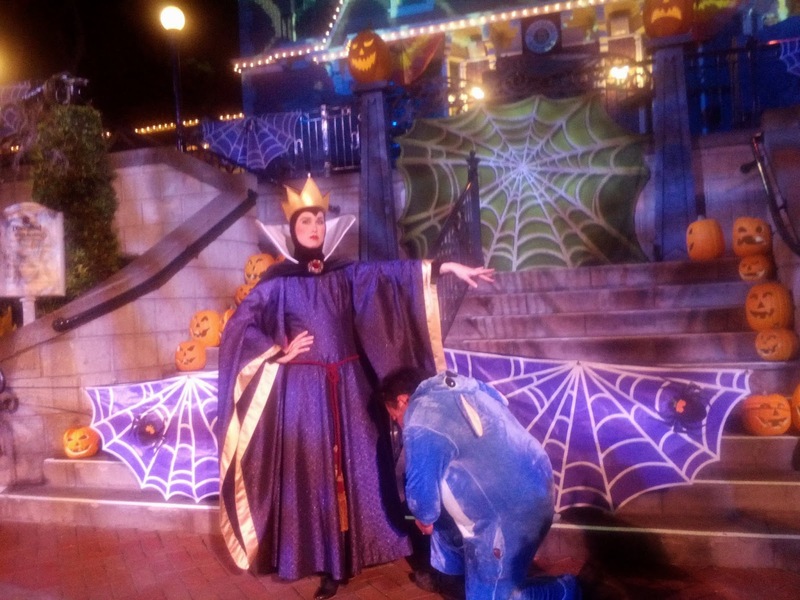 Last time we gave you candy, Stitch, you treated this park like Tokyo and trashed everything!" Me: (Starts pretending to cry) "But I trick-or-treated for it!" Cast Member: (To my wife) "Are you with him?" My Wife: (Trying so hard not to laugh) "Yes"
Cast Member: "Will you make sure he behaves?" My Wife: "I've tried but there's no stopping him"
Cast Member: (Turns back to me who is still sobbing) "Do you promise to behave?" 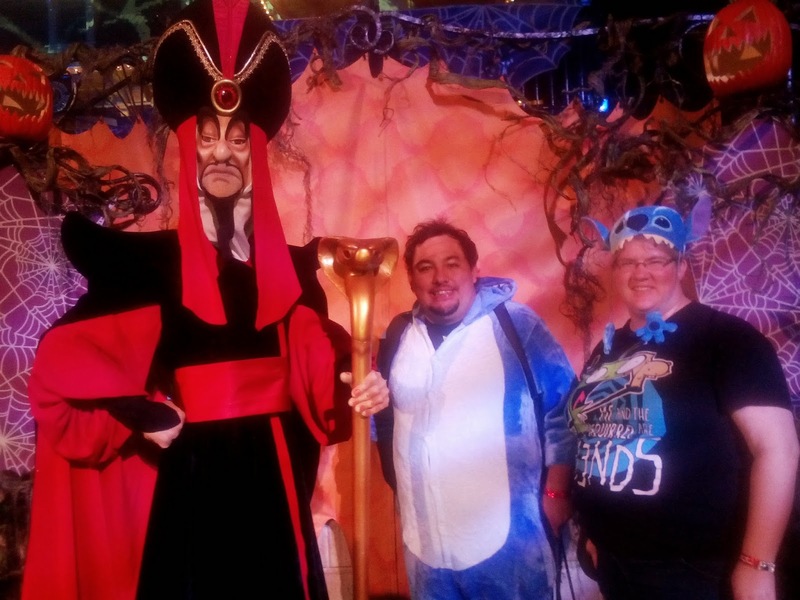 We met a pile of villains that evening, and for the entire weekend had a wonderful time celebrating this most wondrous holiday. 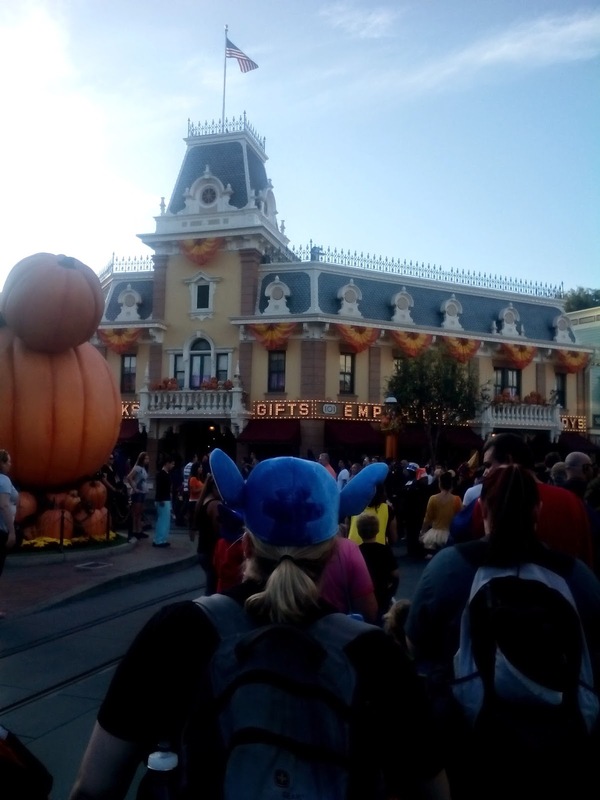 I highly recommend that if you're going to plan a trip to Disneyland next year take the Halloween party into account, because it's probably the most fun you've had at Halloween since you could go door-to-door asking for candy for yourself. One must bow before a queen! Dr. Facillier from Frog Princess! The Tremains-one of the scariest villains of all! 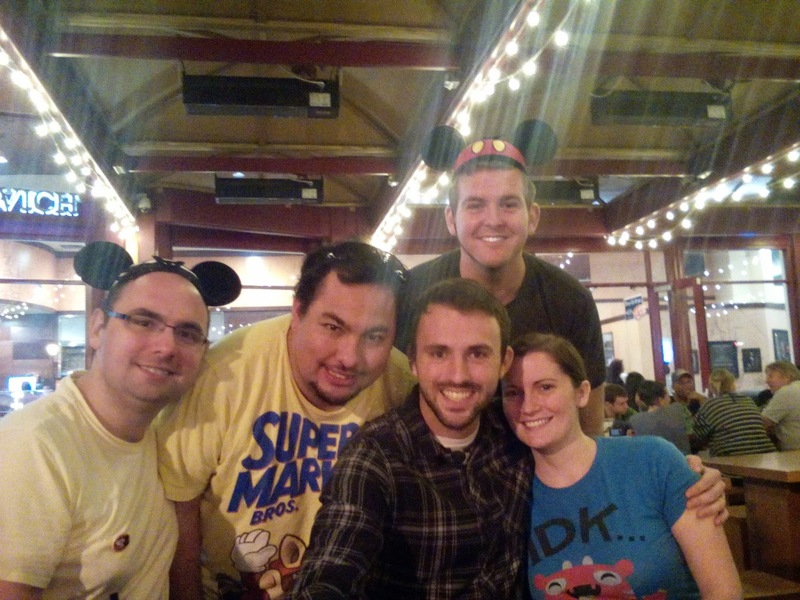 Friends at Disneyland-what could be better? I'd love to hear them play!